→How Mentions, Implied links can boost natural visibility & Search Traffic! A common factor discussed among SEO experts is “brand authority” but how does Google measure this? To clear the cloud, Google just released this patent that gives us insight about how the authority of a brand is measured. How Brand Mentions, Implied links can boost natural visibility & Search Traffic! If my brand is cited or mentioned on other websites (not linked to), once somebody is typing it in a search query, a connection is being made in Google’s eyes. Google stores this information and will consider that I earned an implied link. In order to improve brand authority and gain more search engine visibility and natural traffic, you will need to pay considerable attention to increasing the number of mentions – linked or unlinked. However, with the ‘nofollow’ link attribute being commonly used, some linked citations may not have any SEO effect. Should you integrate implied links to your SEO strategy? My answer to the question is yes! Having your brands mentioned on popular site will certainly improve your natural visibility. That also will hugely improve your brand awareness. 2 ways to get mentions and building a long lasting brand awareness! Guest post authority site. Mention your brand on your guest articles. Answering questions on Q&A sites. Forum participation – Get active on forums in your niche. Sign up to Google alert and get notifications to email whenever content is published on topics you are interested in. Use Buzzbundle, a paid tool to monitor topics on social media, blogs and forums. This tool allows you to respond to discussions using the software. It also allows you to track your brand, company, products and services mentions. Use infographics: Allow your readers to re-post your infographics. Create an easy copy paste html script and include your brand name just under main graphic content. -> Check this post for how to get free professional infographic for your blog. One of the best ways forward in business is to outsource tasks to experts who dedicate time to guarantee your success. In order to improving online brand awareness, I recommend outsourcing to BrandCitations. They take guess work out of the way and manually submit your content to forums, blogs and Q&A sites. BrandCitation takes your white hat link building and brand awareness as a priority. Looking at their packages, I think these are quite affordable. Rather than paying for some junk SEO service that exposes your sites to Google penalties through link spamming, I highly advise dealing with a proven service that puts energy to work for natural result. In this case study, BrandCitation was able to improve its awareness and traffic by up to 15% in 30 days just by using one of its awareness strategies – questions and answers. It’s important to measure your Growth and Return On Investment (ROI). This will help in your present and future campaigns. Fortunately, there are free tools you can use. One of these tools is Google Webmaster Tools (Search Console). This is simple in that it shows your impressions and clicks on your brand name and brand keyword on SERPs. While you take time to check out BrandCitation, do drop a comment and let me know what you think about your brand awareness. What are your strategies to promote your brand and how successful are these? Brand building is much more than mere link generation. I think the overall infuence of a brand, from social media following, interations, down to mentions in authoritative sources like Wikipedia, all help in enhancing search ranking. I would like to thank you for such a detailed post about Brand marketing and awareness. This post have increased my knowledge a lot about the Brand Marketing and Awareness. Currently, I am using Guest posting, Forums, and Comments as a Way to market my content over the blogosphere. I will surely use the tactics you have mentioned above. Thanks for this post! 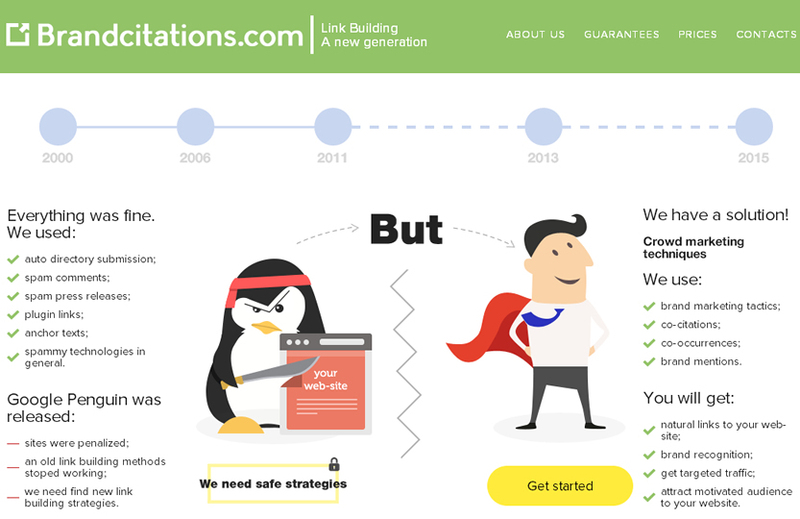 Yep, This stuff (http://brandcitations.com/) is working great! I use this method not once. For 2 months I got a top place. Good to see you around Tony and thanks for endorsing BrandCitations. I use the blog commenting to improve my blog’s brand value. Am I doing right? You beautifully described the concept of “implied link”, but I have a doubt in it. I usually mention your brand name “enstinemki” in google. I think- it adds implied links in the perspective of Google. Am I getting it right or not? My brand name in Google will pull together any indexed content online that has it mentioned. Did you checkout the recent patent I linked to? I appreciate you taking time to create this post. I know it took a lot of research. The information is way too much for me to digest in one sitting. I have already opened a couple of other blogs you referred to like Neil Patel’s and the one about us patent. The point about brand citations and brand awareness is still new to me, and kinda looks complex too. Can you please throw more light on it but with less technical terms. I am still a newbie blogger and I am trying hard to learn how to work the ropes. This is a good post and thanks for bringing this info to the community, I’m sure most of us didn’t know about this before now. I’m loving the whole concept of implied link where we don not need to get a link (dofollow or nofollow) to get some visibility in the search engines – Impressive. In my opinion, the Big “G” (Google) is making things very easy for the white hat guys and very difficult for the black hat guys. Yeah, something like this, but more natural! Link like this are not looking natural. Fix you tactics! Brand building is what every business should focus on from day one. You need to positioned yourself as an authority in your niche this way, you’ll be getting lots of mentions and links from a wide range of sources. I did read that Neil’s guide this morning and ts really packed with lots of useful information. It’s exciting to see you again around man and thanks for the comment. I love what BrandCitations offers to it’s client. It’s something I recommend trying out. Brand Awareness is the great way to get more inbound links. I am usually using Yahoo answers and quora for getting more implied links. Can you suggest me more Q/A websites? I would like for you to thank you regarding this kind of precise submit about Brand promoting in addition to attention. This particular submit have increased the information a great deal about the Brand Promoting in addition to Consciousness. I’m using BuzzBundle now and it’s a great software to get you increase your traffic by promote your website on many sites: Q&A, forums … etc. Have you tried brand citations before? This post is something that will open people’s eyes on link bilding scenario. We see the novice bloggers going behind links and this mentions and co-citations will really make them to offer value and buil relationships. I had read about co-citations in a couple of blogs like kissmetrics, but hadn’t taken it seriously. After reading your take on it, I am ggoing to work on it the best way I should. Great stuff here. Thanks for explaining the difference between implied and express links. It seems that we need to be focusing on the number of implied and express links rather than good old back links. Trying to keep up with the Google gods is exhausting to say the least! I think in addition to those tactics you have mentioned we need to focus on in-depth, quality, rock star content. Content that really goes into detail about a topic that educates, and solves problems for a reader. Use statistics, a case study within the post, infographics where applicable, images that help illustrate your points. I’ll have to give Brand citations a look based on what you wrote and some feedback here in the comments. I appreciate the sentiment Enstine. I will take a closer look at BranCitations buddy. I am happy to as you have much wisdom to share. Keep up the great work my friend! Those are some great tips. I may need to check out BranCitations. An eye opening post and one that is set to make every blogger focus on building relationships. I think this is very interesting and it is set to change SEO. I have actually known about this concept but I thought it was nothing till today. Thanks for telling me How Mentions, Implied links can boost natural visibility & Search Traffic! Hello, thank you for your advice on brand citation and awareness packages. i will give it a trial and see how it works. i would like to thanks , i also using blog commenting techniques for improvement of my blogs traffic & this article clear my several doubts. thanks you a lot. Hey enstine. I noticed that some of your posts, for e.g this one appear in more than one categories. This post appears in make money online as well as SEO category. Does it not cause any internal duplication in Search engine’s crawlers eyes? Or this concept is just a myth? Asked it because I had read a lot of discussions about “with in website duplicate content”. For example if crawler crawls two different pages and finds same content. So, it is now declared as a myth. Thanks for clarification. Definitely a very useful article for build brand awareness online successfully. I like all of your points in this article. And, i also read Neil’s guide about that topic. and Forum posting and so on! Anyway, thanks a lot for sharing this informative article with us. First of all I am thankful to you for this great post about Brand Marketing. I am so excited because I am also using these techniques to promote Brand value like Commenting, Forum post and participating in Q & A sites. Any way thanks Enstine Muki for sharing such great description.